The blog Three Way Fight takes a look at how American fascists are responding to the situation in Ukraine. It should be noted that Right Sector also holds officially a 'neither moscow nor washington' position. “The Right Sector has not supported and does not support Ukraine’s accession to the EU. We believe that Ukraine should be a subject, rather than an object of geopolitics. We call for the country’s neutral status. Like miners from the Donbas, we are opposed to the deployment of NATO bases in Ukraine, i.e. we are against Ukraine’s membership of NATO. We will talk to the people who support [Ukraine's membership of] the European Union and those who back a union with Russia. I emphasize that we propose the option of Ukraine’s non-aligned status,” [Right Sector movement leader Dmytro Yarosh] said on the Events program on the Ukraina television channel. Yarosh also noted that the Right Sector would not go to Donetsk with weapons. “We have no problems in our dialogue with miners. 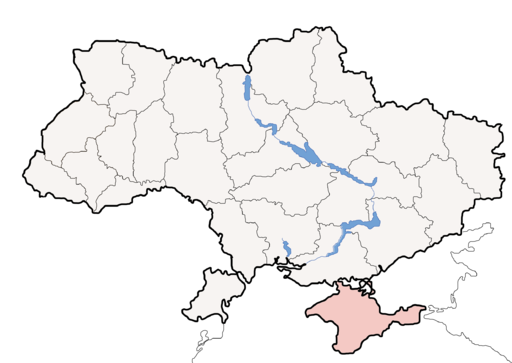 I’m from Dnipropetrovsk region. Moreover, for example, in Vuhledar, not far from Donetsk, there is a trade union of miners that are Bandera followers, and it has been operating there for many years. As far as I can see, not everything is unambiguous in Donetsk region. Those miners in 1989 and 1990 played an important role in the collapse of the Soviet Union and Ukraine’s becoming an independent state,” he said. That's all really interesting, if quite scary, thanks for posting it.